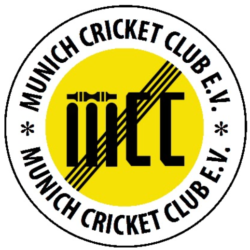 Having finally got the transport details sorted out on Friday, three cars with ten players, one umpire and Rahul`s dad plus the kit but without any helmets set off from the Hirschanger somewhat late around 10:45 to head for Neu-Ulm. Actually their ground is in Ulm right alongside the picturesque river Danube and is part of the sports complex for SSV Ulm. It is a super ground, very large, big enough to be able to run threes, short grass, an even outfield and a really bouncy Flicx wicket. 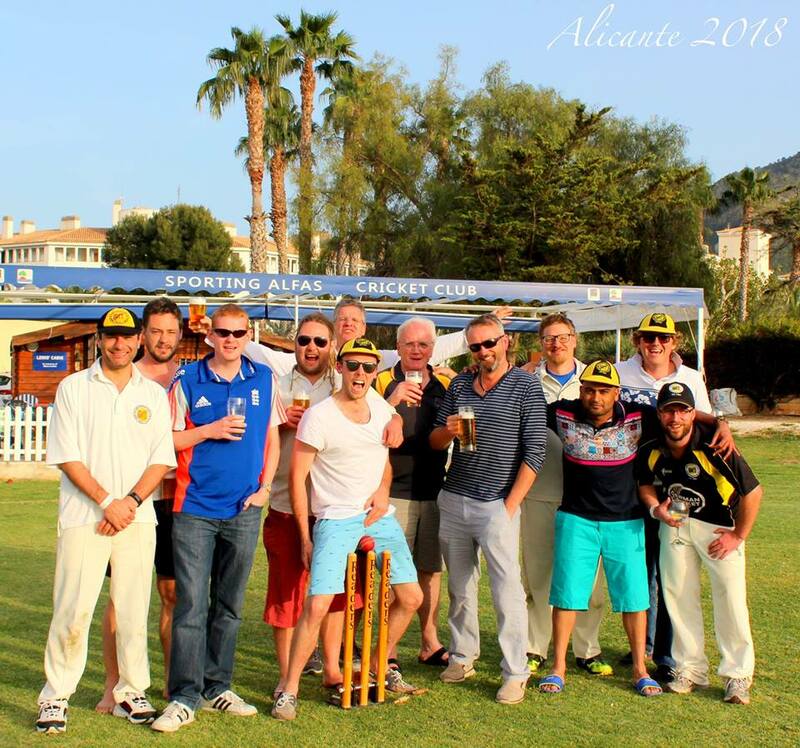 Captian Alagh duly lost the toss and we were asked to field which he would have chosen to do anyway had he won. After a couple of overs Toke arrived blaming the traffic from Stuttgart yet again for his tardiness. MCC opened the bowling with Amin Khan and Sestan, both of whom bowled very well, Sestan claiming the first wicket with the score on 21 and well caught by Bhat junior. Khan struck with the first ball of the next over making them 22 for 2 down. After ten overs the opening bowlers were replaced by Waqas Khan and Mahmud Khan, Waqas in particular looking very handy with his fast left arm action on a bouncy wicket. After 16 overs they were 59 for 5 down. As usual despite taking wickets, the bowlers made MCC batmen`s job harder by ratcheting up the wide count with 35 wides and 3 no-balls being bowled in the innings. Mahmud Khan was replaced by Imtiaz Ahmed who bowled very effectively finishing up with a Forfar Athletic and Neu-Ulm were all out – including a catch by Hashimi – for 104 in 23.5 overs. During the tea interval it was emphasised repeatedly that we had 40 overs to score only 105 runs, slightly over 2.5 runs per over so absolutely no need to do anything stupid and try to win in ten overs. This seemed to have fallen on stony ground for Ritigahapola, the German U-19 keeper, got a golden one off the very first ball of the innings. Toke and Bhat junior steadied the ship and put on 40 for the second wicket although between them they should have been out three times in the interim. Thereafter wickets fell with the score on 49, 51, 51, 56, 59, 61, and 61 respectively. In total there were six ducks, one first ball, four two balls and one six ball. Perhaps we should be generous and say that most of the duck race entrants played themselves in for a ball or two? On the other hand perhaps it was the proximity of the ducks swimming in the Danube that caused such collective suicide. The advantage of such a comprehensive hammering was that we were able to get back to the Hirschanger to watch the last hour of the division one league match against Erlangen and then on to the Chinese tower.